Always loved this story and was looking to read it again, so figured I'd give the audio book a go. Was plesantly surprised by the great performance of Marc Thompson, but on top of that the added music snippets and sound effects made this a truly fantastic and enjoyable experience that really feed on nostalgia from the original Star Wars trilogy. 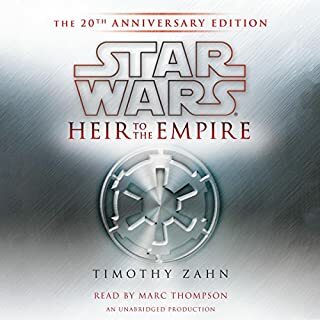 If you are a fan of Star Wars especially of the EU and this trilogy would absolutely recommend this audio book.